The present building was built in 1974 and replaced the single storey pre-fab that had been constructed to replace the bomb-damaged original building. During it's time as a 'temporary' building it was occupied by Hilton's shoe shop. 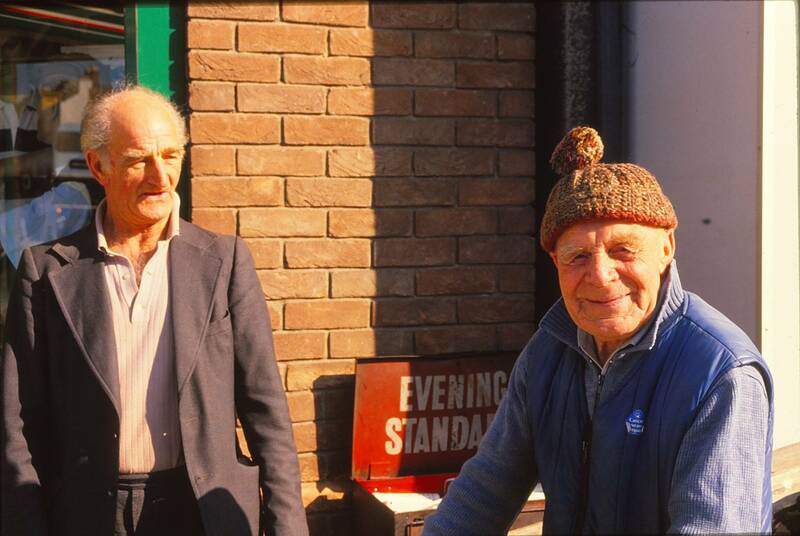 Also in the corner on the pavement in front of the shop was the news-stand of the much loved 'Ginger Warren'. A COUNCIL is considering formulating its own policy in a bid to help Newmarket’s ailing High Street. Members of the town council’s planning committee have started discussions following two recent proposals to use empty shops for non-retail use. Councillors recently raised concerns about a plan to turn a former lingerie shop close to the Rutland Arms Hotel into an estate agents’ office. The plan was subsequently rejected by district planning officers on the grounds that it breached policy limiting the number of non-retail premises in the High Street. Later this month the town council will be asked for its views on bookmaker Paddy Power’s proposal to turn the former D2 clothes shop at 96 High Street into a betting shop - the 12th in the town. Cllr Joy Uney said she believed the council should have its own "clear policy" for development in the town centre. "We want to make it more inviting for our own towns people and for visitors," she said. "Responses to our Newmarket vision questionnaire showed people thought we had too many betting shops. Some might say anything is better than an empty shop but once you have lost an empty shop it is difficult to get it back again." Cllr Uney said the town’s retailers were working hard to bring empty shops back into use. "We should be supporting them," she added. But former mayor Cllr Bill Burch said: "We are talking about a shop that has been empty for two years. We can’t be choosy." Cllr Cheryl Brighty said: "Part of the issue is how much of one type of thing do you allow. If you have too much of the same thing then people lose interest and no-one comes into the town to shop." Town mayor Cllr Mick Jefferys said: "If we lose retail space in the High Street then we will radically change the face of the town centre for the worse forever. Deputy mayor Cllr Keith Bovill added: "We should look at what the current mix of shops is and what we are aspiring to. "We should try to create a vision for our town and not be dictated to by everyone else. We should take the initiative." Newmarket's 12th betting shop is set to open this year after a successful appeal to the Secretary of State. 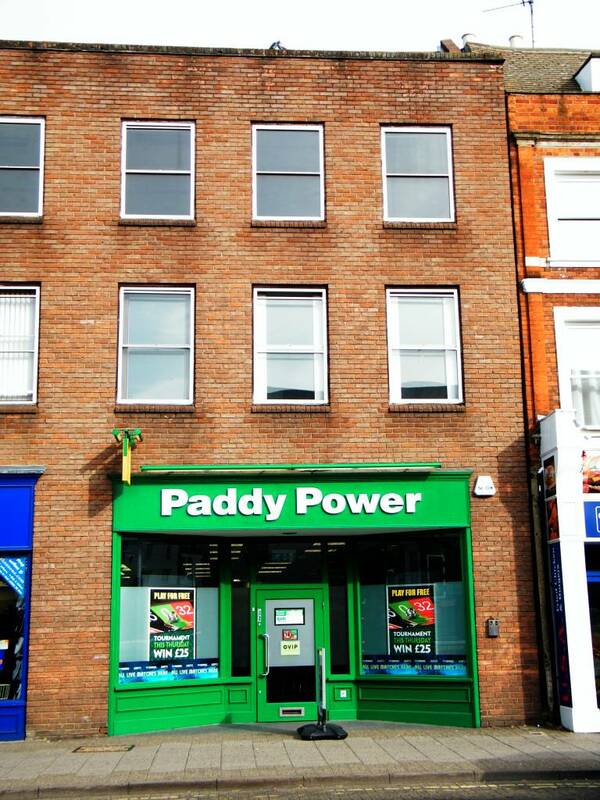 Forest Heath District Council rejected Paddy Power’s application to turn the premises at 96 High Street into a betting shop in June, but the company successfully appealed against the decision and planning permission has been granted. Paddy Power is likely to open for business at the site of the former d2 store at the start of December. It was ruled that while the change of use will mean a one per cent increase to 33 per cent of primary shopping frontage in non-retail use - this is still shy of the 35 per cent maximum suggested in emerging policy. Richard High, the inspector appointed by the Secretary of State, wrote: "With regard to the number of betting offices, the planning system should not seek to limit competition and it is for the market to decide how many outlets for a particular service a centre can support." Forest Heath District Council has been ordered to pay Paddy Power the full cost of the appeal because the inspector found "unreason-able behaviour resulting in unnecessary expense" had been shown. The inspector found the council had refused the bookmakers planning permission because the development would mean "an excessive proportion of non-retail uses" in a part of the town, whereas the inspector argued the policy should have been applied to Newmarket as a whole and if it had been, Forest Heath would have granted permission and no appeal would have been necessary. Marion Green, of the Newmarket Retailers’ Association, said it was a "smack in the face for the town", but said they will work to make the town the best regardless of the decision. She said: "Newmarket is bigger than Paddy Power. We will be good losers, we will rise above it but it just goes to show that democracy does not work in this country because the people didn’t want it and the town council didn’t want it and the district council didn’t want it, but we have had it inflicted on us by someone who knows nothing about this town." But Darren Haines, a spokesman for Paddy Power, said the arrival of the betting shop would bring five or six full and part-time jobs to the town and fill one of the town’s empty shops. He said: "No-one wants empty outlets on a street - it’s the worst thing of all for how a street looks when outlets are closed down and boarded up." He said customers would receive a better service because of the competition represented by Paddy Power and it could be the case that rivals offering a worse service would be competed out of business in time. D2 was formed in 1999 from a combination of the Fosters Menswear, part of the Jeanster casualwear chain, and Jeans for Sale by Sir Tom Hunter and his investment company. Following construction of the new building in 1974 Hiltons shoe shop moved next door into No.98 High Street. In the 1940s this building had been the home of J.W. 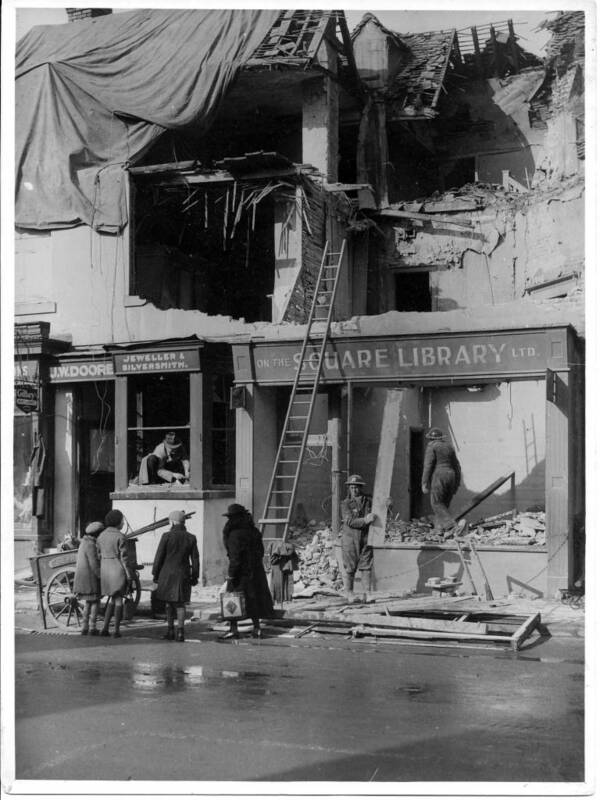 Doore jewellers and the 'On the Square Library', it was the site of the second bomb that struck Newmarket on February 18th 1941, demolishing the top half of the building. The building mostly always seems to have been associated with No.98 next door and may have been used as residential accomodation for workers at Sheppard's Grocers - it's difficult to tell from the earlier censuses. James Button was born in 1821, he attained his clerkship on 24th September 1839, working for solicitor Samuel David Young in Bury St. Edmunds and then a year later on 26th November 1840, working for William Parr Isaacson of Willoughby House - No.103 High Street. In the 1869 & 1879 Post Office Directories and the 1883 & 1892 Kelly's Directories James Button is shown living in Kingston House - No.85 High Street (now Moons Toymaster Superstore). Going back even further James Button, Esq. was Clerk to the County Court in the 1851 Gardner's Directory - address given as High Street, Newmarket. John Henry Aylmer, son of John Boughen Aylmer was born in 1857 in Fincham near Downham Market, Norfolk and started his career as a solicitor on 29th October 1874. In 1891 he was in Leek, Tittesworth in Staffordshire .... by 1896 he's listed in Kelly's Directory in Newmarket and by 1901 he's shown living in Kingston House in the census. 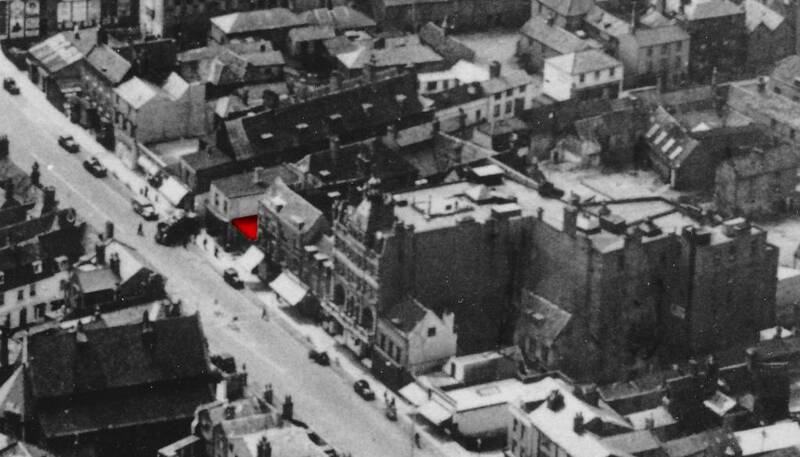 As shown on the 1904 Street Market Map the County Court Office was at No.96, but it's not known when this became the solicitor's office. John Henry Aylmer died on 8th February 1922, but like Button before him his name lived-on in the name of the company of solicitors. His probate (shown below), shows that he'd still been living at Kingston House. Conrad Fitch and Percy Cooper had joined the company by 1925 and by 1926 Percy Cooper was living at No.96. As detailed in the London Gazette on 7th December 1906, Fitch had been an agent for Button & Aylmer at 29 Bedford Row, London WC. As shown in the London Gazette of the 21st May 1929, Button, Fitch, Aylmer & Cooper also had offices at Princes Chamber, Coventry Street, London W1 (now the Managers Room at the Prince of Wales Theatre). 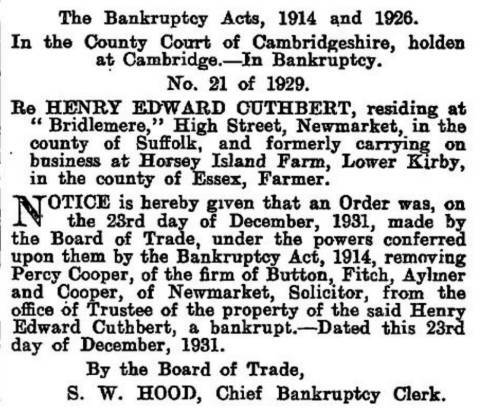 The following report in the London Gazette on 1st January 1932 is quite confusing - according to the 1926 Newmarket Street Directory Henry Edward Cuthbert lived in Fordham Road ... Bridlemere was occupied by Alexander Milligan from about 1918 until 1946 - so why Cuthbert should be 'residing' at Bridlemere is unknown .... and how Percy Cooper is involved is stranger-still, still something happened with the company of solicitors, as by the 1936 Newmarket Directory J.W. Doore jewellers and the 'On the Square Library' had moved into No.96. It appears that the jewellers and 'library' were the first to re-model the front of the building and create shop-fronts - if you refer to the older photographs shown below, before then the building just had a residential entrance up some step at the front, flanked on both sides by two large bay windows. 'Centre of High Street 1927', 'High Street by Button & Aylmer c. 1911' and 'From Sun Lane c. 1890s'.